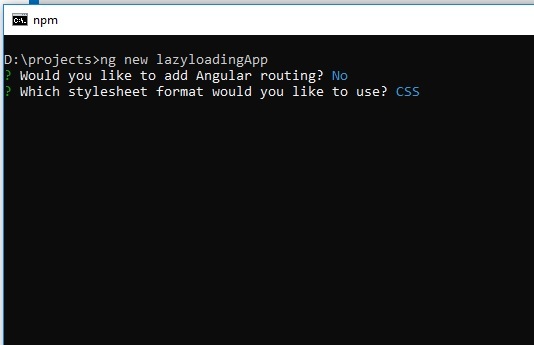 In this article, we’ll learn the implementation of lazy loading in Angular. The application is created succussfully. Now, navigate to the application folder and open the application in VS Code. 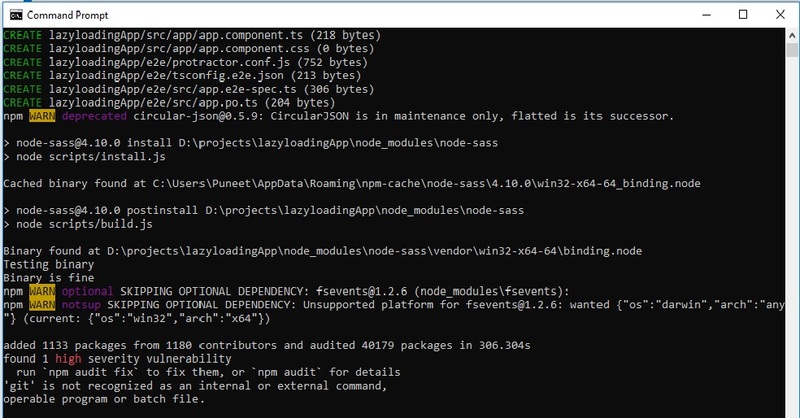 Now, create one more module file for loading on demand. Let us say the name lazy and create one component file with the name employee using the below command. If the above command creates files successfully, then open the app.routing.ts file and import Routes and RouterModule from @angular/router. Given below is the output image. The first one is an initial laod image and the second is lazy module load.